Reception Class shake their way to a home made picnic! Mrs Cairns was very excited to be able to spend the day with Reception Class on Thursday. 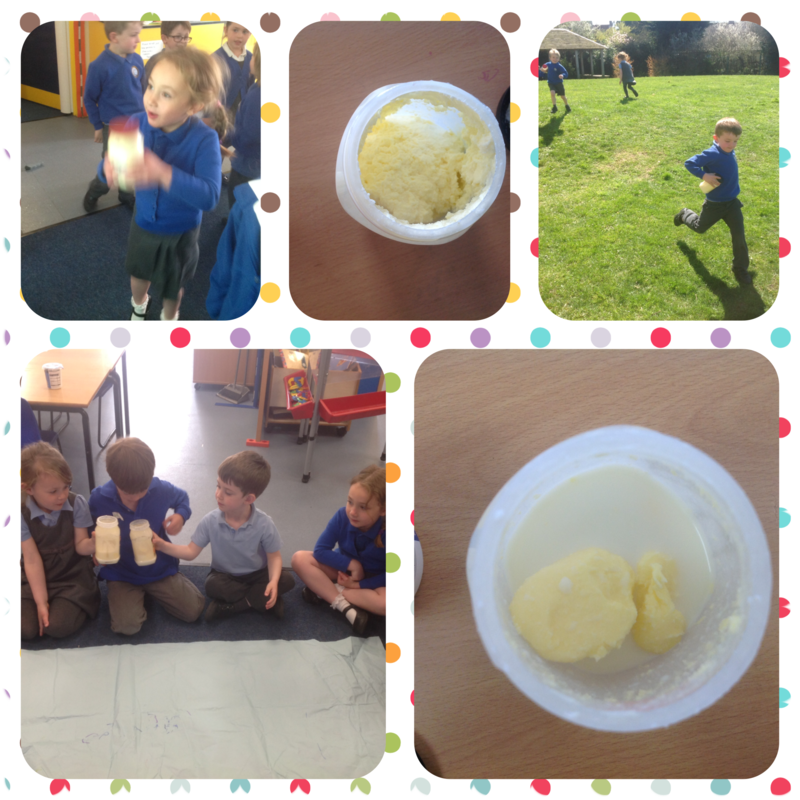 As part of their farm topic Miss Frith had asked the class to have a go at making their own butter. The cream needed a lot of shaking – but the children were very groovy movers and so the cream danced with them. When we first looked at it the children noticed that it looked liked whipped cream or ice cream – we needed to do more shaking! The children did some relay racing and took in turns to shake as they ran, the next time we looked it had turned into a lump of butter. We used the butter to have a little picnic at the end of the day.